Don’t Worry, He Won’t Get Far on Foot follows the true story of paraplegic John Callahan and his dealing with alcoholism, as well as his cartoon drawing which made him famous, and his journey of coming to terms with the people in his life. This movie promises a great cast as well as an interesting premise from a talented director, and it mostly lives up to the promise. Joaquin Phoenix is one of my favorite actors right now, and it’s hard to find a film where he doesn’t deliver. Here he plays a real-life paraplegic alcoholic so well that you constantly feel his depression and regret present in certain scenes and his brightness in others. Phoenix portrays a physically and emotionally damaged man from real life very intimately and carries the film better than any other actor would have. Also great in a supporting role is Jonah Hill who’s character plays a key role in John Callahan’s recovery. The story is at its strongest when the actor’s performances are at their best, as many scenes’ dialogue are delivered very well by the actors and certain scenes do have an emotional impact. However, the story structure starts to feel weaker in the middle act when not much emotion is present and some scenes didn’t feel too necessary. The story is at its best when it digs deepest into Callahan but sometimes the writing didn’t hit its mark, and the occasional non-linear storytelling felt unjustified and distracting whenever it was hardly there. When the movie focuses on its core themes of recovery and forgiveness, it succeeds greatly but sometimes it focuses more on dark humor or repetitiveness. Thankfully, we do get some great scenes thanks to top-notch writing and acting, and some strong delivery of story and themes. Don’t Worry, He Won’t Get Far on Foot is elevated by a superb performance from Joaquin Phoenix and a great emotional arc for his real-life character, and though the second act feels lesser to stronger parts in the beginning and end, it’s an often fascinating true story you may want to check out for its cast and writing, and those who like biopics will especially enjoy it when it’s released this July. 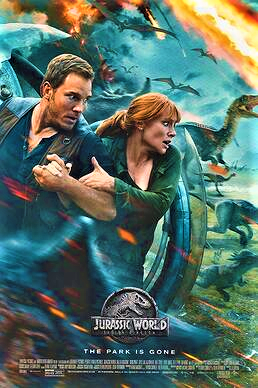 Three years after the fall of Jurassic World, Owen and Claire return to the island to rescue the dinosaurs from a volcano that will cause the extinction of all the dinosaurs on the island. There’s no surprise that audiences, including me, will continue to go pay watching dinosaurs wreak havoc on the big screen, not just because I enjoy it, but also because Jurassic Park is still on my top 10 favorite movies and I continue to have high hopes for the franchise. Unfortunately, Fallen Kingdom ditches a lot of the heart this series used to have for new high-paid cast members and plenty of scenes dedicated to rich corporate officials talking about dinosaur genetics. Jurassic World was far from perfect but still really enjoyable and had tons of edge-of-your-seat suspense, and one of the best parts of that movie was Chris Pratt’s protagonist, Owen Grady. Last time we met him, he was a unique dino trainer who knew the creatures better than anyone and took on threats in style. Here, there’s nothing heartfelt or fun to his role that all of Chris Pratt’s other performances seem to possess. His character is hardly developed this time around and his connection to Bryce Dallas Howard’s character is done the exact same way as in the last movie. The new characters played by Rafe Spall, Justice Smith, and Toby Jones are anything but engaging and a large subplot involving a young girl made zero impact on the film’s plot. The child protagonist subplot didn’t work well last time, so why try it again with a new child character? Also, if the movie can afford Jeff Goldblum in its budget, why only have him in two scenes instead of having him be a main character again like the old times? The movie’s character roster could have really used a lot more of him as none of the characters outside of Pratt and Howard are interesting at all. If you’re looking for some monster fun, don’t worry, this will probably please you as plenty of scenes are entertaining for a wide audience. The CGI is great, and even better than the last time around. Every dinosaur has a fun look and characteristic to it and the dinosaur action is quite pleasing most of the time, especially a scene on the island which has been highly teased in the marketing. 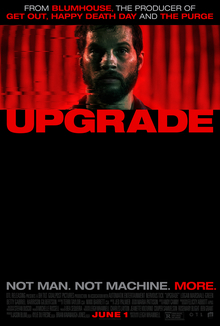 Viewers new to the franchise and those who love the fright the previous films offer won’t be let down on an action standpoint, and director J.A. Bayona quite delivers with some great shots and visuals. The story does start off with a nice concept that raises the question of whether these creatures that us humans created deserve to live — but it rushes to the action without much meaning or strong buildup. Soon the plot becomes too uneven and it focuses not enough on its main characters and too much on useless or boring parts without moving forward into new ideas the franchise hasn’t explored before. 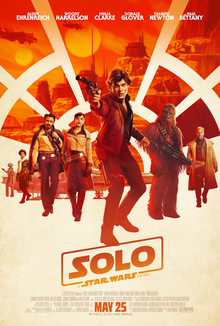 The trailer makes this seem like the Empire Strikes Back of the Jurassic Park movies but there isn’t much tension or suspense besides the constant dinosaur noise after dinosaur noise, and even the action scenes have the familiar “characters making dumb mistakes near monsters” tropes. At the end, it didn’t feel like I had watched a complete movie because though the story could’ve been something very thrilling, there isn’t much depth to it. This could’ve worked really well and even been one of the best Jurassic movies, if only there was a reason to care and get invested into the plot aside from great CGI and chases. The ending is an interesting choice that teases a (hopefully) better final installment, but there wasn’t much of a reason to get excited when it ends. I remember at the end of Jurassic Park, I felt like I had seen something magical like never before, and at the end of Jurassic World, I felt like I had to catch my breath after all the intense and awesome action, but here, there’s no reaction or takeaway that I felt like I did with previous installments of the saga. Jurassic World: Fallen Kingdom works on the surface as a good looking dinosaur extravaganza with action that will please many wide audiences, but the story has nothing fresh to the franchise and the character focus is out of place. I would recommend it for its action but as a film with real quality, not much is offered that will resonate. It doesn’t reach the heights of what’s been done before and I feel that this saga has much more to it than what’s offered here. It ends up being a mediocre monster movie that many can still have fun with, but won’t be remembered as one of the greats. After defeating Syndrome, the Parr family continues to balance their superhero lives with their civilian lives as Elastigirl is recruited to help legalize superheroes. Since The Incredibles was released 14 years ago, it’s become one of Pixar’s greatest sensations and it’s no wonder everyone anticipated this sequel for so long. Having grown up with the first movie, I was one of the people waiting so long to see this one. I loved the action, heart, and approach to the superhero genre the first one offered, as well as the brilliant style we always see from Pixar. Thankfully, a lot of that returns in Brad Bird’s long-awaited follow-up that carries down all the heart the first film had. It’s not just a movie about superheroes fighting villains, but a movie about being a family while having superpowers. The terrific cast from the first movie is mostly back — Holly Hunter is wonderful as Elastigirl with plenty of fun to her character once again as she takes on new duties in the spotlight, and it’s also great to see Craig T. Nelson back as Mr. Incredible as he strengthens his bonds with his children after being away in the first movie, and learns to take care of the home life as a father. It’s also great to have Samuel L. Jackson back as the lovable and awesome hero Frozone, and director Brad Bird once again voices the hysterical suit designer Edna Mode. New additions to the cast are Bob Odenkirk and Catherine Keener who are both great as siblings who are advocating to legalize supers. Another element worth noting is how the animation has stepped up since 2004 which really shows in every frame. The years worth of animating work pays off with the stunning detail in every picture. Another welcome return is the brilliant and exciting score by Michael Giacchino, who also composed the first movie, arguably his best film score. The jazz feel to the music makes it feel different than any superhero film or animated movie. The villain definitely isn’t as memorable as Syndrome from the first movie or even close, the rest of the script feels interesting and engaging enough despite a predictable villain reveal. Though the action isn’t as memorable as in the first, some are so great you could even expect to find them in a Marvel movie. Even though so many superhero franchises have started since the first movie was released, none of it feels affected by the fact that we get so many superhero films a year, and it still feels like the Pixar family adventure we got in 2004. Every character feels unique and heartfelt once again — Elastigirl is determined to make the world a better one for supers, Mr. Incredible is determined to take care of his children on his own, Violet has boy problems at school, Dash needs help with math homework and enjoys annoying his sister, and Jack-Jack — you’ll just have to see. These characters don’t just feel like action heroes working together — they feel like a real family. And that’s what this movie is, a family movie. It’s not just about fighting crime, but also getting along as a family and helping the ones closest to you. This also feels like something even adults could enjoy — one could see it as much of an action superhero movie as something like Guardians of the Galaxy or The Avengers. At no point does the movie feel compromised to impress children, all of it feels like it could be pleasing to the most mature of viewers but kids can also love it. Basically, this movie is for all ages, and definitely one to go watch with the whole family. Incredibles 2 is another fun animated movie built for all ages, with great animation, action, cast, characters, and music. You can count on Pixar to make the 14 year wait worth it. After the death of her mother, Annie Graham must shield her family from the psychological and supernatural demons she believes she’s inherited from her mother. A24 continues its streak of truly disturbing, frightening, and upsetting movies that redefine the horror genre as we know it. This movie has a layer of terror that no other horror film I’ve seen lately has offered. Not only does it offer scares, but the emotional depth and damage the characters have is the most terrifying part of it because it feels more grounded than what comes later. 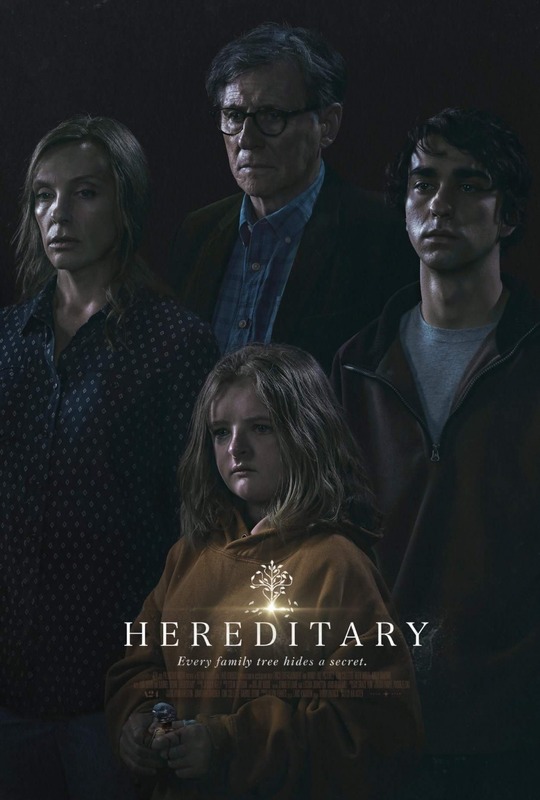 What’s so disturbing about Hereditary isn’t just the supernatural aspect but also everything that our characters are already put through before, which could be a tragedy on its own. Ari Aster does a terrific job creating suspense and placing the camera in creative angles, without using too many cuts within scenes. He also elevates tension with effective use of music. He writes a nightmarish family drama that escalates into screams, visions, and paranoia in nearly every scene. You can never tell what will happen in the movie, from a scene in the first 30 minutes that’s so unthinkable and disturbing it makes your jaw drop. Toni Collette is not to be ignored in her deep and unsettling performance as a woman dealing with grief and loss, and her character acts somewhat insane at some points, but Collette’s performance is believable enough to be taken seriously and she brings chills down the viewer’s spine in some scenes. There are some truly terrifying sequences that will have your heart racing and some gory imagery, and I should warn you that if you don’t like gore or slower, less conventional horror movies, then you should probably stay away from this one. This movie has strong psychological fright and themes about grief and broken families, but I feel that the ending decided to go more supernatural and I hoped for a more emotional blow that stuck true to the themes rather than the scares, like most A24’s horror movies have done. Other than that, Hereditary will live up to the expectations of those hoping for scares, but it’s also got the depth that fans of the studio will be looking for.